I make these Delicious Roast Almonds for Family and Friend gatherings every Christmas and they are always a big hit! So I recently decided to make them available for everyone to enjoy. 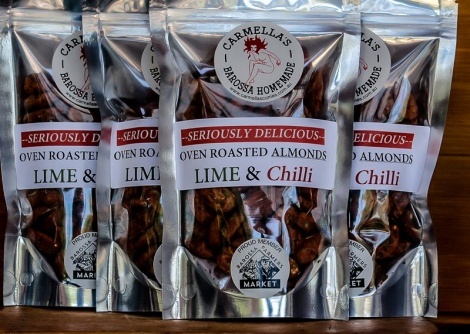 Using South Australian Riverland Almonds and Fresh Kaffir Lime Leaves and just the right amount of Chilli and River Murray Pink Salt these Roast Almonds are simply irresistible and are the perfect nibble with a few cold beers or a glass of Crisp White or Rose. 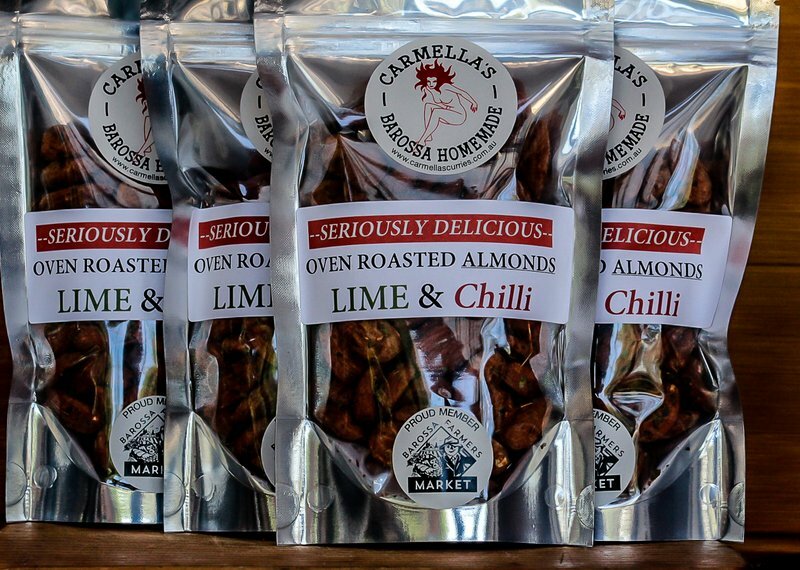 They make a great gift and are great to share, or you can secretly eat them all on your own!